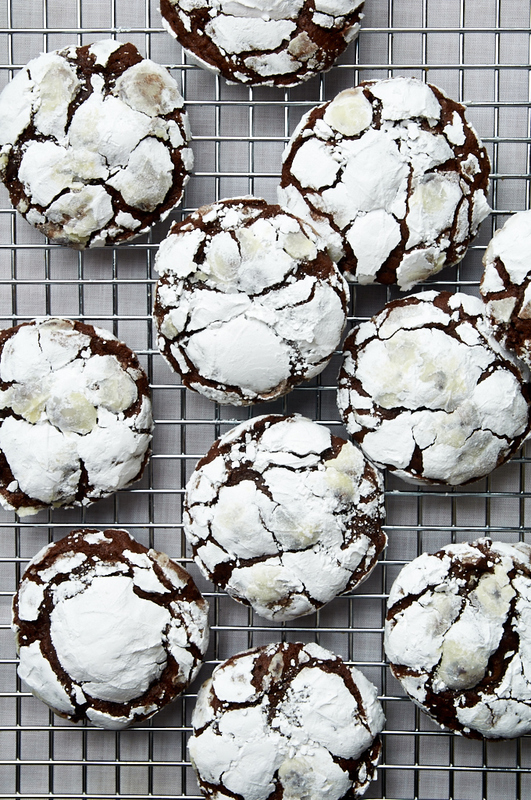 St. Patrick’s Day is coming and I plan to celebrate with 3 fingers of Bushmill’s (1 ice cube, please) and a big ‘ole batch of Guinness Crinkle Cookies. Hells yeah! 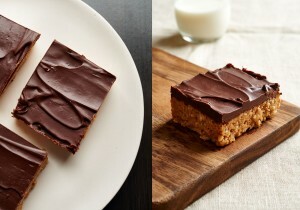 There are so many things to consider when you think, “What shall I cook or bake for St. Paddy’s Day, this year?”. So many alcohol-infused options…you could make your own shamrock shake, chocolate stout cupcakes, or Guinness Beef Stew? 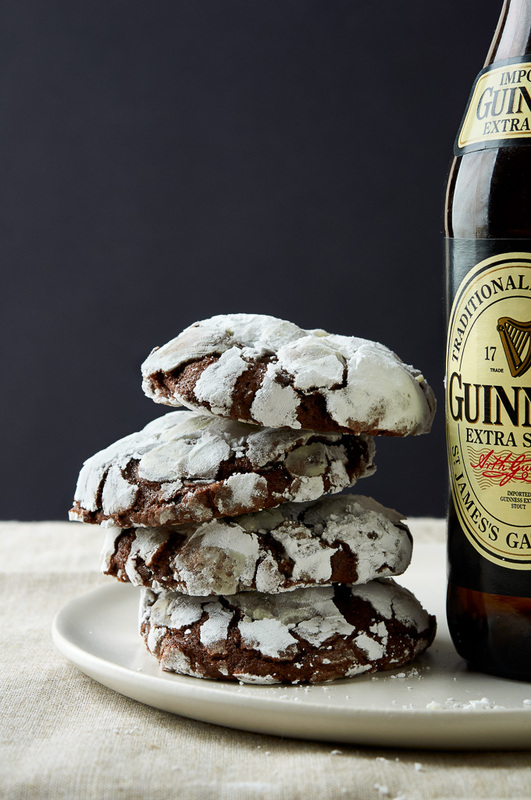 While wondering how I could consume even more alcohol on St. Patrick’s Day or any given day, for that matter, I decided to take Crinkle Cookies and fill them with a very hearty beer…Guinness, anyone? Are you thinking about it? The answer is right under your nose. Yep, you got it. Guinness. Crinkle. Cookies. Kinda wondering why I never thought to do it before. What’s wrong with this chick? Is it perhaps all the Irish Whiskey she’s consumed? If you’re willing to take the time and effort to make Guinness Crinkle Cookies, you’ll be one happy, slightly-tipsy camper. Chewy, crackly Guinness kissed cookies on St. Patrick’s Day? That’s not Leprechaun trickery; that’s the real deal. 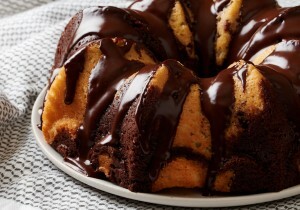 In a small bowl, combine cake flour, unsweetened cocoa powder, and baking powder. Set aside. Place Guinness, dark brown sugar, and granulated sugar in a lightly buttered heavy bottomed sauce pan. Do not forget to butter the pan! Heat beer and sugars over medium heat. Mixture will bubble, but that's to be expected. Stir mixture making sure to scrape sides down. After about 12 minutes, reduce heat to medium-low. Continue to cook mixture until it develops a syrup-like consistency, about 20 minutes. Remove from heat and add butter to the pan and stir until melted. Pour syrup-butter mixture into a electric mixer bowl. Combine mixture at medium speed until butter is fully incorporated, about 1 minute. Stop mixer and add espresso powder, vanilla extract and salt. Combine. Add the cocoa powder mixture and mix until just combined. The batter should resemble a thick cake batter. 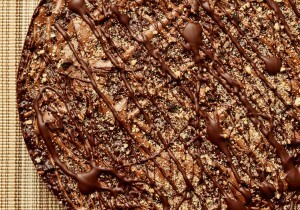 Stir in semisweet chocolate chunks and chill for at least 2 hours or until the dough is solid and can be handled. Place 3 tablespoons granulated sugar and ½ cup powdered sugar in two separate medium bowls. Scoop 2 ounce cookies and toss in granulated sugar, then press into powdered sugar. 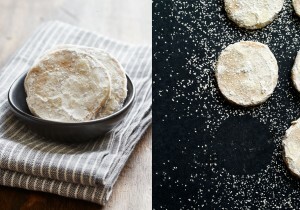 Bake on silpat or parchment-lined sheet pans for 15-16 minutes. Let cool on sheet pans for 5 minuted them remove to cooling racks. dang! all the best of the irish in one one cookie. 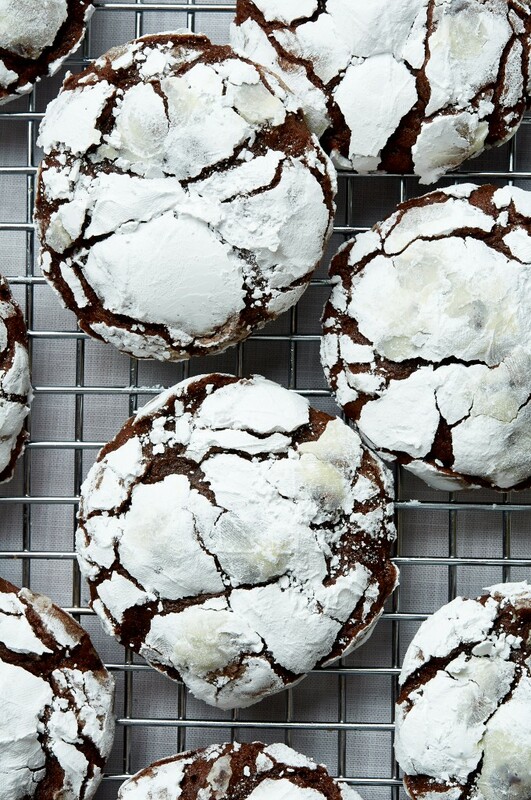 and i will always love the look of chocolate crinkles. i’m sure the guiness is amazing in these, adds nice depth. hope all the luck is with you! Guinness plus dark brown sugar makes for a powerful punch; they’re very hard to resist. Thanks for stopping by, Amanda. With all the talk about Guinness, 3 fingers of Bushmill’s, infused with Crinkle cookies, and chocolate stout cupcakes, you can understand why I felt slightly inebriated half way through the article and had to read it a second time. Not only was I totally out of it but also was full as a tic after a full meal topped off with a rich desert of Guinness Crinkle Cookies. Somehow or other St. Patrick’s Day completely bypassed me. Why is it that I find myself with a monstrous hangover after reviewing so many of Mondo’s gems? It’s amazing the photographer can get through the shoots, or does he? Oh Felix…you haven’t missed St. Patrick’s Day, at all. It’s on the 17th of March. There’s still time for you to cop some Guinness and get inebriated for real. 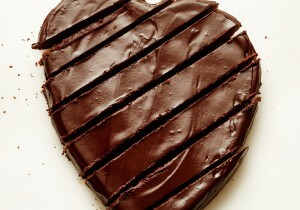 I’m still feeling the affects of those cookies and thought I had missed it. I think I’ll forget about St. Pat’s Day this year. I look green enough as it is. Ok, but next year I expect you to pound at least one Guinness tall-boy. Cheers! These look BEAUTIFUL. I made Guinness bread for St Patrick’s Day which went down an absolute treat at work. So good. Will definitely try these next year though. Sarah! 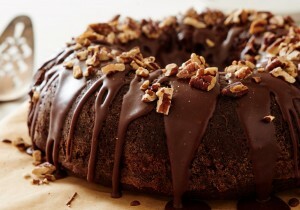 Guinness bread sounds amazing! Was it savory? Did you top it with corned beef? Or was it sweet, warmed and dipped into hot coffee? Either way. I gotta try it. Thanks for reading!